360 Internet Security is an antivirus program that is published by Qihoo, and it is the most widely used antivirus in the world with over 400 million users. Qihoo is a chinese company and has one of the best antivirus products on the market. The english version which is what we have here, uses the same technology and database, but still needs to add features. But don’t think for a second that this is a weak product because that is simply not true. This product includes all of the protection of a regular antivirus suite but there are little extra features. You gain extra forms of protection that you would not quiet expect, but there are minimal features compared ot other antivirus products. Now since this product is new to English market we can expect future iterations to include added features such as those found in other suites. Scan: You are able to do a quick scan, a full scan, and a custom scan. All of these are very similar to those of other antivirus products. The custom scan allows you to scan the entire drive opposed to being very limited by the other scan types, because you can rescan certain items such as the desktop. Real Time Protection: This antivirus suite is able to monitor your computer with up to three antivirus engines for maximum protection. The program is even able to protect its self from malware so that your one form of protection is not ruined. The program is also able to monitor programs that have access to your webcam and prevent them from taking control of it to monitor what is going on. USB Protection: This feature allows the program to monitor any files being transmitted through a USB drive. This is very similar to the USB immunization feature that you get with Bitdefender Total Security. Do Not Disturb Mode: This feature prevents annoying pop-ups when your computer enters a game or a full screen application. So if the program updates it wont give you a notification if you are in a game, and the best thing is that that it automatically switches to this mode when it detects a full screen application. 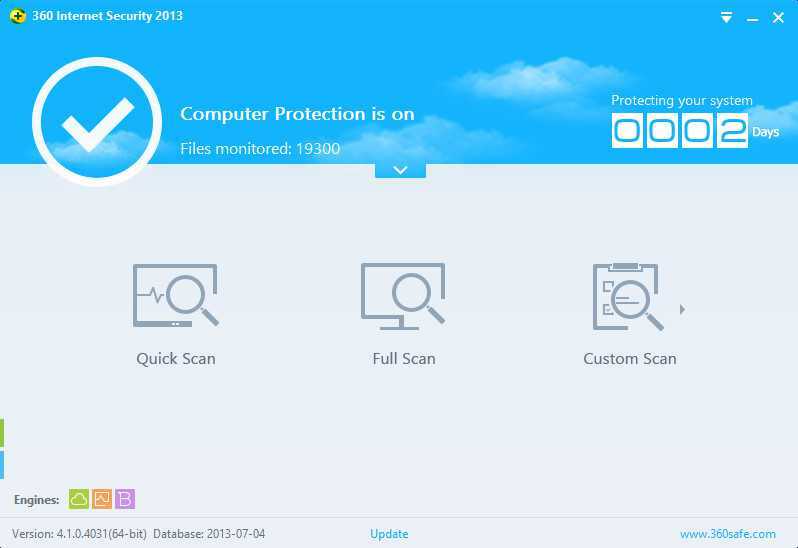 Pros: This program has a very powerful protection score getting a 5.5/6 on the last AV-Test, and it monitors many different changes rather than just file changes. This program is able to monitor changes to a registry key, start-up items, files, and other items on the computer including the webcam. This program has a ton of security features that you can modify to get the correct level of protection that you need. Cons: This program can be difficult to set-up for novice and beginner users, so getting the best protection can be difficult. If you want help configuring the settings for this program go to the bottom of this post, and you will see a video tutorial that I have prepared. This program also lacks features, while many will argue it has a ton fo security features it misses items like file shredder, anti keylogging, and other features that a security program should have. This video review also contains step by step instructions to properly configuring the software for maximum security settings.